Copyright © 2007 by Tachyon Publications. 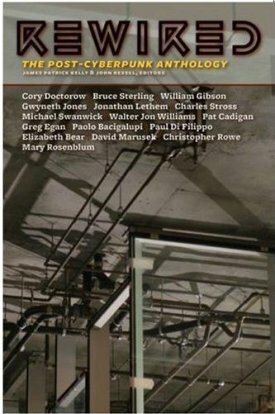 My reviews of Rewired: The Post-Cyberpunk Anthology continue with “The Wedding Album,” a Theodore Sturgeon Award-winning novella by David Marusek that was originally published in 1999. A British couple named Anne and Benjamin live in a world where casting “sims” (i.e., virtual simulations of oneself and one’s memories at a specific moment in time) is commonplace. However, the sims of Anne and Benjamin on their wedding day prove resilient to being reset and locked away, especially as the real-life Anne and Benjamin go through a troubled marriage. Ultimately, the sims try to reconcile their locked memories and personalities with the real world and the multitude of clones based off the same two people, which itself ties into a global campaign for the liberation of all virtual beings and their right to live in the virtual world of Simopolis. The sim of Anne on her wedding day tries to hold on to her happiness and her sense of reality in the face of an ever-accelerating future. 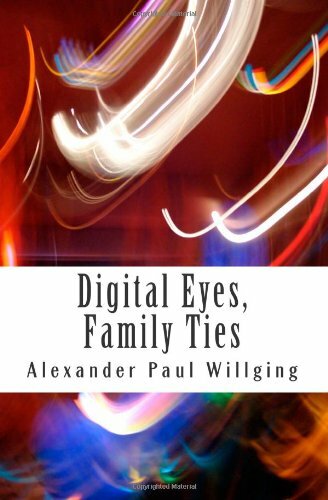 Suffice to say that this is a truly bizarre story, but because this is a transhuman story that delves into virtuality and digital memories, things going weird was bound to happen. But whereas William Gibson’s “Thirteen Views of a Cardboard City” is strange because it has no plot or characters, David Marusek’s story has more than enough characters and plots that it stops being a short story and counts as a novella. The real focus isn’t on the real-life Anne and Benjamin, but on their virtual copies living the same moment over and over again inside a digital memory chip. They’re sentient, but still constrained and increasingly antiquated in the rapidly-accelerating present day. Beyond the bizarre mechanics of the plot, the thematic content is strong. “The Wedding Album” is an exploration of identity and memory and how strongly the two are tied. It briefly becomes an extrapolation about the emergence of artificial minds based on human minds and the rights they’re owed as sentient beings, though the change in narrative toward this point happens so quickly that the reader easily shares Wedding!Anne’s confusion and frustration. The ending is also ambiguous, with the possibility of it being happy or horrifying up for debate. All things considered, this story does its job well in challenging the reader. It allows you to empathize with a humble memory construct who only wants to hold onto the happy moment for which she was created, which sounds harder than it actually is. Like Gibson’s “Thirteen Views,” Marusek’s “Wedding Album” is a literary ordeal, but a welcome one for any dedicated sci-fi reader. Bibliography: Marusek, David. “The Wedding Album.” Rewired: The Post-Cyberpunk Anthology. Ed. James Patrick Kelly, John Kessel. San Francisco: Tachyon Publications, 2007.